I’m planning to go to my first conference this fall and I’d like to print business cards for the occasion. Many employers provide business cards for their employees, but if you are a library student like me or you do not currently have a library job, it’s a good idea to design and print your own. You definitely want your business cards to stick out without distracting potential employers and contacts from your important information. 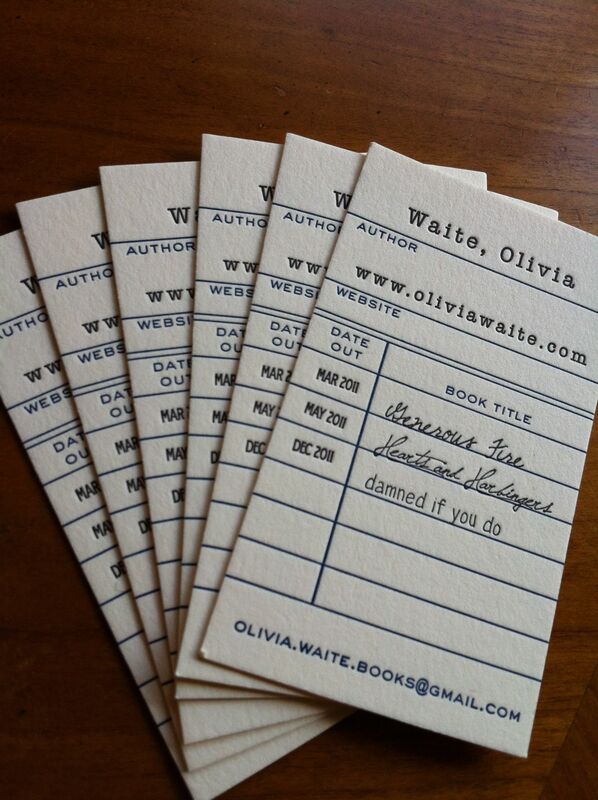 There are some amazing and creative ideas out there for library and information science business cards. I really like tailoring your card’s design to your specific LIS branch. Here are my favorites! Sarah Schott of INALJ Arizona has some helpful tips and resources for designing and printing your own business cards! I created a Pinterest board for library and information science business cards so you can browse ideas. If you’d like to upload your own business card or pin to the board, please contact me so I can give you permission! Thank you for posting this, Courtney. I am glad someone has taken this topic to another level! After my post about business cards I decided that I would look into new cards which link to my online portfolio! I plan to use a QR code on the new ones!